Have you heard about the Community Maps Program yet? A couple years ago, Esri and the ArcGIS user community joined forces to build multi-scale base maps of the world. Using the best data available from GIS professionals who work in all kinds of organizations: cities, counties, countries, and companies. 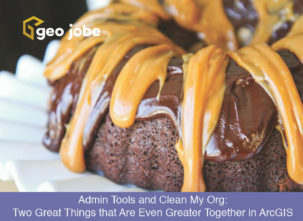 If you are an Admin Tools for ArcGIS Online user, this is something you might want to participate in! Registered organizations are encouraged to participate. After registering you will need to be validated. Once accepted, your organization can contribute your data to the community. The Community Maps Program accepts base map layers, imagery, land elevation, bathymetry, hydrology, and stream gauges. Host your basemap data for free! This results in reduced costs associated with making your data widely available. Significant time and cost savings in developing high-quality community basemaps. Free and easy access to detailed, accurate, and high-performance online community basemaps. Users inside and outside your organization can leverage data to develop innovative GIS applications. You can use them to support areas like economic development, disaster management, elections planning, and community outreach. 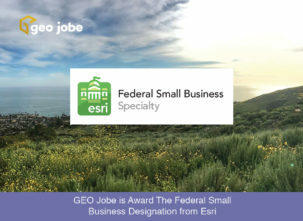 Promotion of your organization’s valuable GIS work. See more about Esri Canada Community Maps program. Basemaps Just Got Even More Awesome (and Geeky) With The New ArcGIS Vector Tile Style Editor!